On 24 September, 2009 by Ciara Feely	Comments (0), leave your own! I have held 2 events at the Guinness Storehouse and have got great feedback each time ” the staff are easy to work with and are professionals”. Last week I attended Bizcamp there – I worked with Keith on finding the venue. Most of the stress of the day is taken away for the organiser if the venue are on top of things, provide excellent service and serve a decent cup of coffee! This is the case with The Guinness Storehouse – Happy Arthur Guinness Day! Location – Dublin City, at the site where Guinness is brewed – about a 15 minute walk down the keys from Dublin City Centre, 10 mins by Luas or a quick taxi ride. It is also very close to Heuston Train Station and on the Luas line which makes it so accessible. What is it perfect for? If you are looking for a venue that is a little bit different, this is the one. You enter via the Visitors Centre which has a very touristy feel to it, this I like as I can pretend that I am on holidays. You can just skip through the line to pay to get in if you are attending a conference. There is plenty of signage to direct delegates to the conference floors. The main Aural suite is on the 3rd floor. This will accommodate about 300 people seated. Lots of room outside for tea/coffee area. You can feel and hear the buzz of the visitors centre, the building is a large atrium, built in the shape of a Pint of Guinness in the centre so you can feel the atmosphere from the whole venue. Smaller meetings – Break out rooms – up on the next floor – in the business centre area. There are 5 rooms here that will hold up to 70 people. Food - prepared by Campbell Catering – tasty and flexible with a choice of menus for every budget. 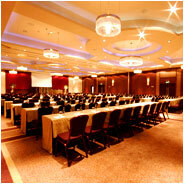 To avail of the discounted negotiated rates that FindaConferenceVenue have, do get in touch. ciara (at) findaconferencevenue.com. 353 ()) 21 4928941. 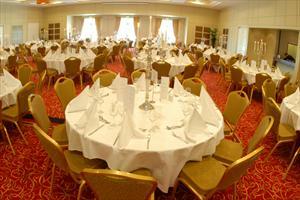 We are the experts on hotels and venues in Ireland and will do the legwork involved in finding a hotel or venue. It is a free service to the Meeting Organiser.